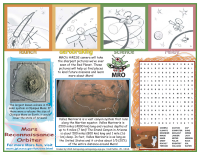 Learn about the Mars Reconnaissance Orbiter while completing this word search, from the USGS. 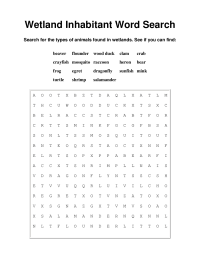 Word search covering animals you will find in American wetlands, from the EPA. 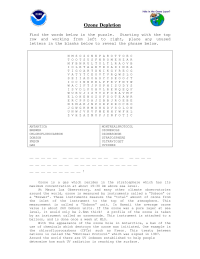 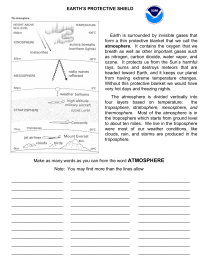 Ozone Word search and facts about the ozone NOAA's Mauna Loa Observatory.